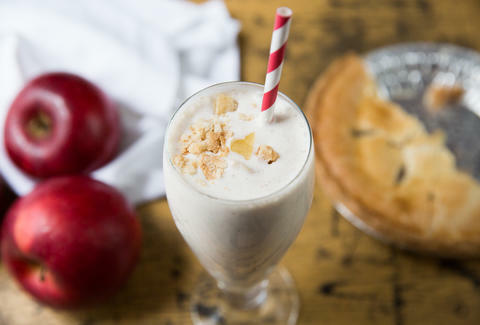 The only thing more American than apple pie and milkshakes is booze made WITH apple pie and milkshakes. And also the Electoral College. And though I sadly didn't have room in this recipe for electors chosen by popular vote on a state-by-state basis, I did manage to pack in hard cider, a pint of vanilla ice cream, and two slices of delicious apple pie. Now it's your duty as an American to drink it. Let ice cream sit at room temperature for a few minutes to soften up to the consistency of soft-serve. Put your serving glasses in the freezer to chill. 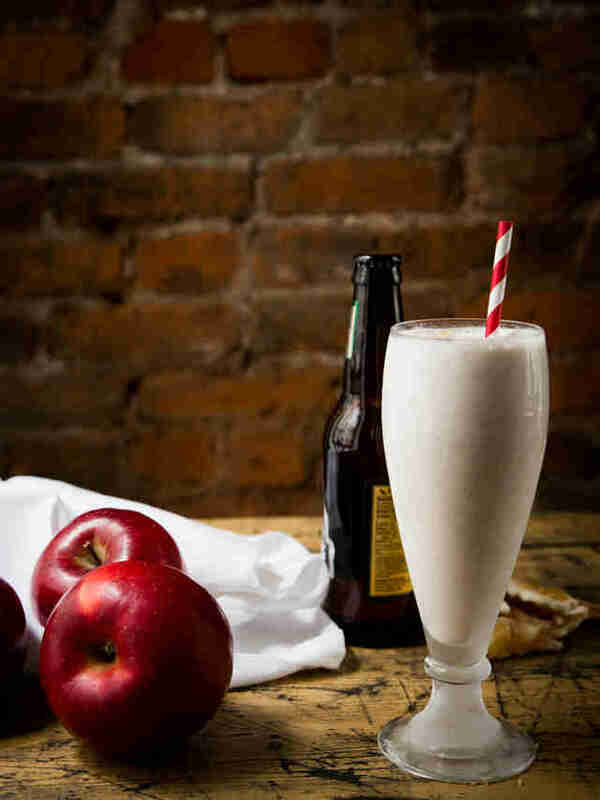 Add ice cream, cider, and cinnamon to a blender; mix until creamy and smooth. Add apple pie and pulse once or twice to combine, but chunks should still be visible. Pour into glasses. 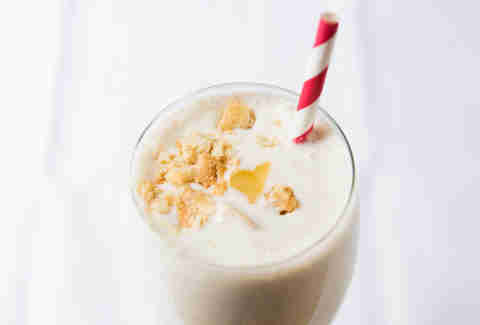 Serve with straws and spoons.